1) A lug cracking or breaking off?? 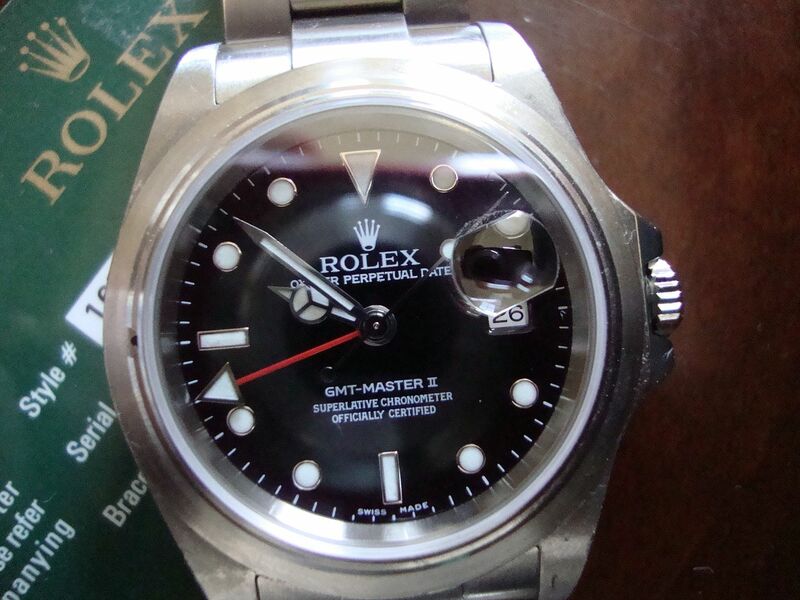 2) On rotating bezels, one or more of the "teeth" breaking off?? Thats some serious damage! Hopefully none of us have experianced damage that severe! Nothing. Just the normal scratches and minor dings. Nothing so far. 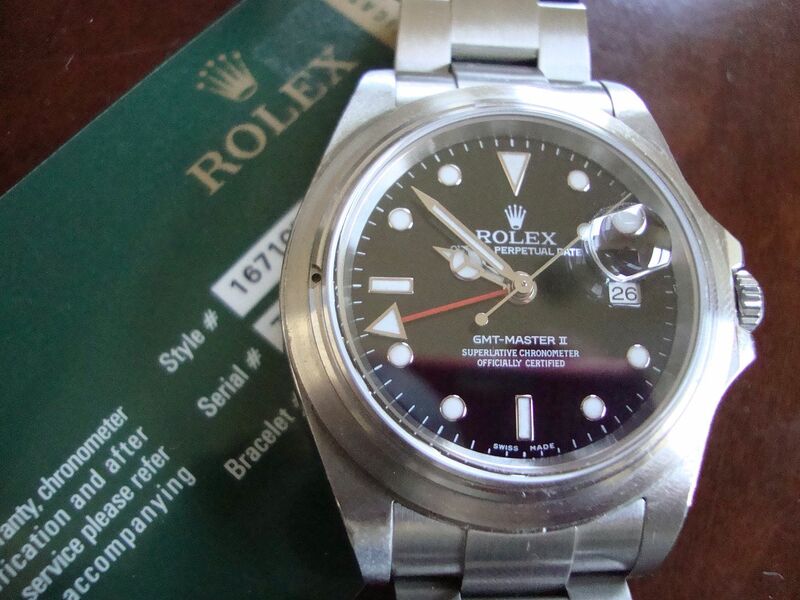 The way I protected my GMT IIC PCL's from scratches was buy a SUB Date. I don't think many here really use their watches. I once had a spring bar break while rig fishing in 135 feet of water. Fortunately the head of my 1680 fell back into the boat while landing a big fish. Knock on wood, nothing yet! Nope, so far so good! Choose to allocate your time to imbeciles at your peril! I was replacing a reel to reel tape motor in a rack when it fell about two feet and hit the bezel of my vintage Daytona, one big dent! At least you got the bezel off Tony!!.. Now how did you manage to twist the crystal?? Wow! 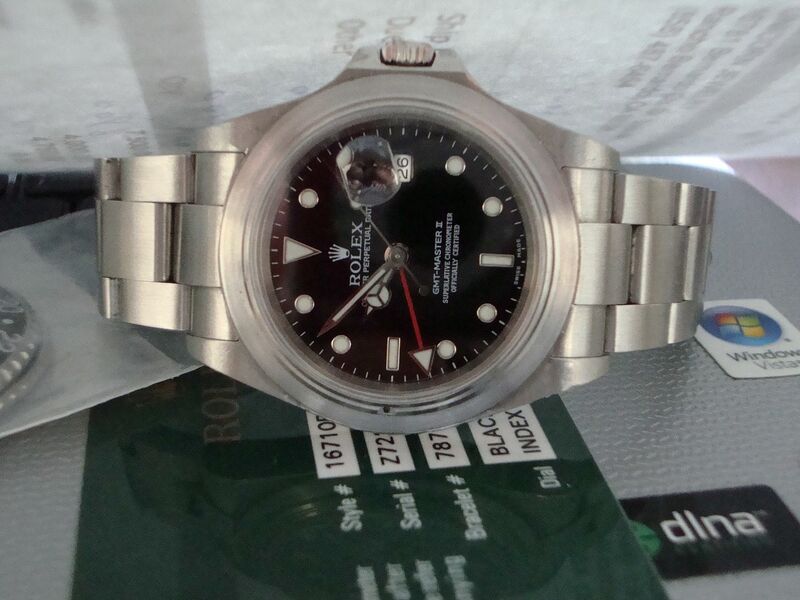 I thought it was an Explorer II at first! I'm sorry, Tony! But I just burst into laughter! Though it wasn't to a Rolex, resting my soldering iron mid job on the desk and having the cord drag the tip into contact with my seamaster chrono caused much swearing and frantic tugging at the clasp. No damage visible or to timekeeping and it still passed 300m pressure test, but it left a giant red hippocampus on my wrist for a few days. What you don't know is I keep track of what's going on here my Friend. Does the word " LOCTITE " ring a bell???? My solution was to try and boil the moisture off. I unwound the crown and placed it on my halogen room light. 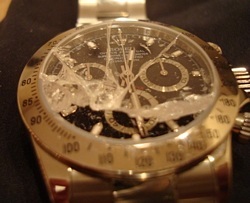 Within 5 minutes, there was a "pop" and my watch was now a three piece suit - case, crystal, and bezel, all separate. 10 years later, runs like a top. Looks like that watch had a little too much to drink. Very strange behaviour! Even with the crown unscrewed there is still protection from water and you would think moisture. I accidentally brushed my Sea-Dweller against a wooden door frame the other day. So far I have been lucky, other than landing on my DateJust while riding my bike (car pulled out in front of me and I super-manned it over the hood). Unfortunately, no pictures (and was 20 years ago). 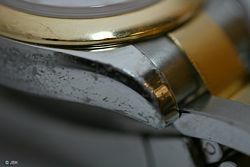 The image above is from Hannes of a Lady DateJust after going through the wash.